Prom 72, Mahler Symphony no 6 with the Vienna Philharmonic Orchestra, Daniel Harding conducting - an incandescent experience, igniting with such force that it seemed to sear itself into the soul. Mahler himself said that the symphony "would pose riddles only to be solved by a generation which has assimilated and digested my first five symphonies". What might these riddles be? This symphony causes controversy, much of it supposition and hearsay. Why the tag "Tragic"? Was Mahler really so superstitious that he thought a hammer blow might end his life. And the movement order - even if you know nothing else about the symphony you can sound smart screaming SA/AS. So all the more reason we need to approach Mahler's Sixth on musical terms and value genuine insight. The Vienna Philharmonic Orchestra are outstanding, and their playing on this occasion seemed truly inspired. 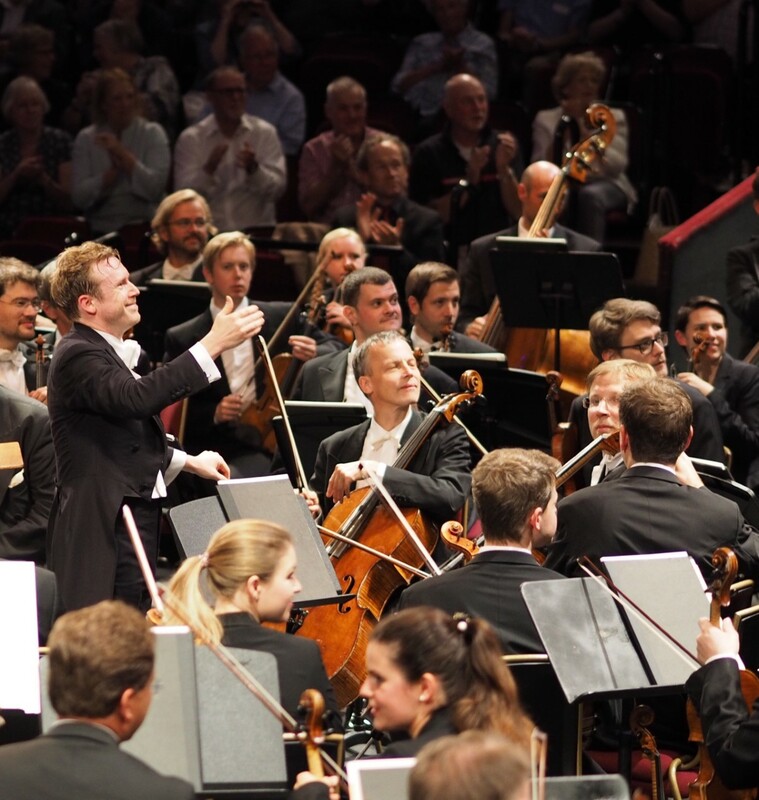 Daniel Harding's Mahler credentials go back to his teens, when he was appointed by Claudio Abbado as his assistant and gave him Mahler's symphony no 10 to work on. A very wise move. Harding digested more than the first five symphonies. He assimiliated Mahler's output from beginning to end. Moreover, with the Tenth there was then no received performance tradition: Harding had to find his own, original way. The Tenth is also a good way to start because it's unfinished: thinking in terms of open-ended possibility often stimulates insight. Abbado was more than a great musician : he understood life. Harding has worked with the Vienna Philharmonic Orchestra for many years. He conducted the Tenth with the orchestra, a recording that still stands as a benchmark (though I rate even higher his later version with the Berliner Philharmoniker). He's conducted Mahler's 6th several times, including with Berlin, but this performance with the Vienna Philharmonic Orchestra was even better still: free spirited and seemingly spontaneous, often a sign that conductor and orchestra spark the best in each other. They repeat their Mahler Symphony no 6 at KKL Lucerne later this week in a hall whose acoustic picks up more detail than the Royal Albert Hall ever could. The first movement, marked Allegro energetico, blazed from the start. Harding's attack was bracing, for the energyn here represents a battle, a battle for life against the inevitable march of time. Decisiveness matters on a battlefield: trust your instincts and don't flaff about. The March rhythms were clearly defined, drum rolls and timpani done not so much with military precision as with a passionate sense of elation. The orchestra, like the protagonist, relishes challenge. Thus the flow between ferociousness and warmth. Bright, lively textures in the strings livening the golden richness this orchestra does so well, contrasting well with the chill that creeps into the strings as the symphony progresses. As so often in Mahler. the quiet moments are the most telling. The woodwind melody rose seductively, suggesting confident self-awareness. The cowbells connect to this theme because they're meant to be heard from a distance. They're elusive, the way that ideals are elusive. They may evoke memories of summers past, but quite possibly they are more than that. Cowbells reassure a farmer that his cows are not lost, even when they're beyond sight. Interpretively, very significant. When the march returned, the beat was quieter but with more frenzy in the strings and brass, the sense of impending horror felt almost overwhelming. But Mahler's little hints already indicate that something positive may survive after annihilation. 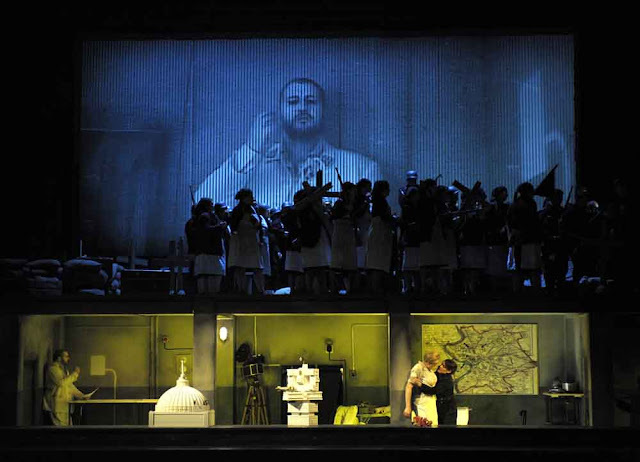 The Andante was exquisite: the benefits of an orchestra as good as the Viennese where every section is strong. The melody in the strings was so beautifully done it felt almost painful, but it should, for loss means more when what is lost was worth having. Yet the faint suggestion of dance implies circular movement - cycles of change. Consider the Auferstehn in Symphony no 2 and the Abschied in Das Lied von der Erde. Whatever the "Alma" motif represents, it embodies the idea of an entity finding its own path. Trombones and bassoons created a grotesque parody of dance, marking the return of the march. Striking decelerating diminuendo and the woodwind line, escaping as if on tip toe. A Scherzo that was magnificently wild - demonic by turns, yet spookiest when hushed, the brass muffled and sinister. When the Scherzo precedes the Andante, the effect is exhausting and works well with interpretations that place the symphony as a precursor of the agony of the 20th century, and so on. Andante first places more on the personal and on the connections with Mahler's metaphysics of life and rebirth. If the answer was easy, there wouldn't be a debate. The current edition, sponsoreed by Reinhold Kubik of the Internationale Gustav Mahler Gesellschaft states Andante first, the way Mahler performed it. Perhaps the clue to Mahler's "riddle" lies in the Finale? The tuba broods ominously, bassoons call, but trumpets, as ever, lead forward, and harps create an image of heaven , either angels or the last movement of Symphony no 4. The March resumes, Harding leading his forces full forward. But the strings of the Vienna Philharmonic Orchestra glowed and the celesta added magic. The sound swelled, as expansive as the peaks of the Salzkammergut. The size and variety in the orchestra is relevant, since large forces can melt into chaos unless purposefully managed. To paraphrase Mahler, "an orchestra encompasses the world". Good minds, and good conductors, lead us ahead. Perhaps what Mahler is depicting here is a universal horizon, a panorama so great that it transcends the world. So often I've written about what mountains symbolize in Mahler - journeys made in struggle, rewarded by peaks from which one might imagine heaven, or the glory of life itself. In Mahler's Symphony no 3 the craggy terrain becomes spiritual, the Finale ending with a glorious vision of endless possibilities. In Harding's Mahler 6 with the Vienna Philharmonic, the Finale was exhilarating - wildness and ecstasy alternating, masterfully defined. The mood grew ominous, even cold, But does the hammer blow mean death or is it a way of saying "No! " to something ? From what we know of Mahler the man, he was rational not superstitious, though some of those around him were pretty gullible. That final, catastrophic crash - with no hammer blow - was so powerful that it knocked the audience breathless. In many ways, it's more terrifying "not" to have simple solutions. Whatever happens next, we cannot know, but Mahler (via Harding and the VPO) made us pay attention. Six thousand people clapped and stamped their feet in applause..